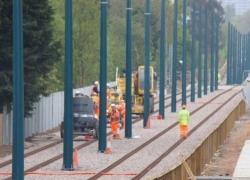 During the second phase of the NET scheme, Taylor Woodrow/Alstom (TW/A) were required to install new rail lines through an industrial area opposite Ruddington Lane. It was determined that the soil slope created next to the industrial area as a result of the low level rail lines required stabilisation during the construction of the retaining wall (RW) works. The original proposal for this approximately 80m long structure comprised a modular retaining wall (Redi-rock) acting as a gravity structure to retain the slope material. 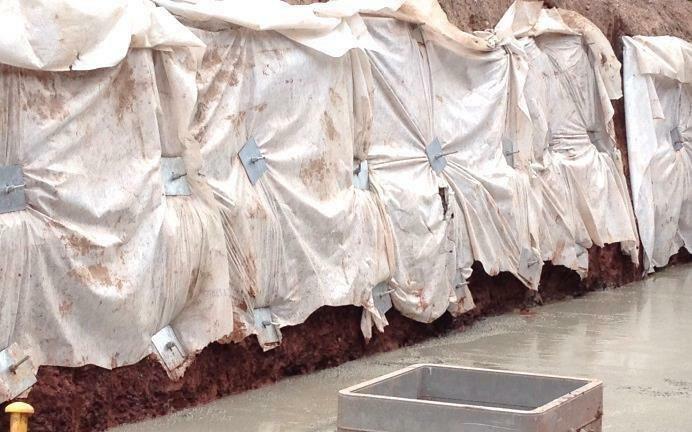 However, due to space constraints at the site, an alternative solution was developed that combined a narrower modular wall section with ground anchors providing the slope retention. The modular wall section was therefore designed to act as a free standing fascia wall. 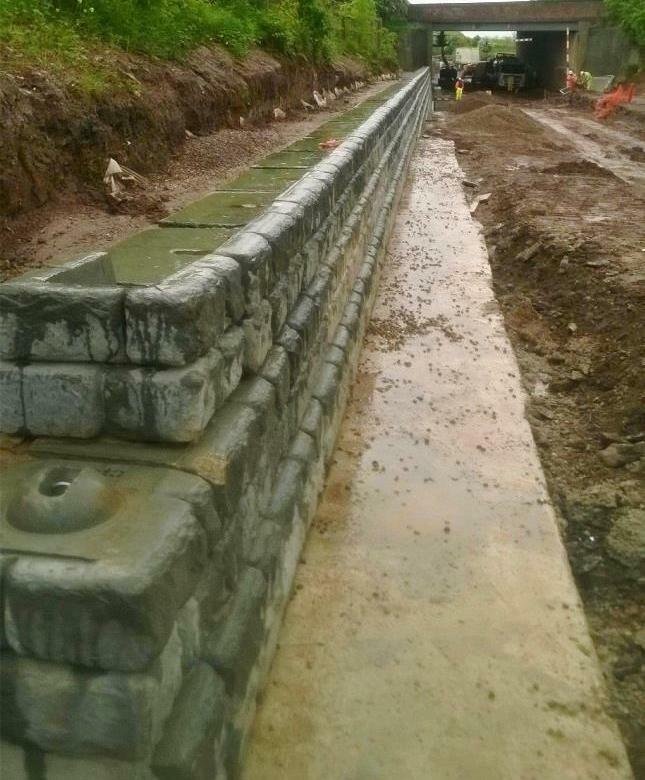 Anchor Systems (International) Ltd (ASIL) were engaged to review the Soils Investigation and provide a solution to anchor the slope back to reduce the horizontal load burden on the Redi-roc Wall. ASIL reviewed the Soils Investigation (SI) data and proposed the use of the mechanical ground anchors. ASIL were then engaged to provide a Global Stability analysis of the structure and propose the anchor system of choice based on detailed design. 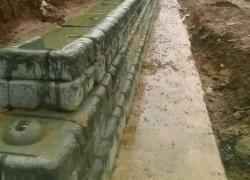 To ensure the design of the anchors could be translated into a practical solution a site test was carried out to install anchors along the proposed wall to ensure the design loads could be achieved at the stated depths. Results indicated that the mechanical ground anchor was more than adequate to create the designed solution. 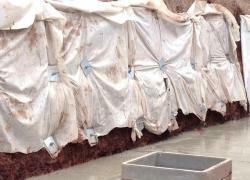 Mott MacDonald provided a CAT III check on the design and found no issues of concern. 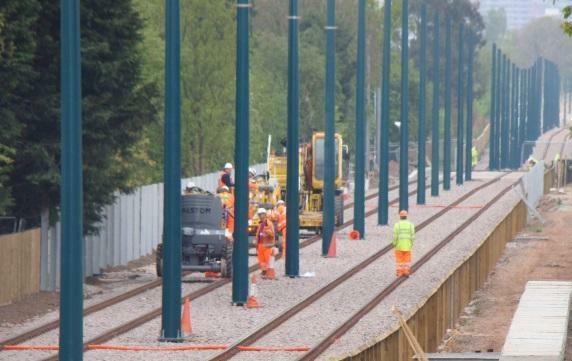 TW/A were pleased with the speed of installation of the mechanical ground anchor systems and the net benefits provided to the project in time and cost. ASIL managed the complete process of design through to test anchoring and also assisted TW/A and sub-contractors on site with education and training in the use of anchor systems plant. The project was a collaborative effort from design to installation between all parties concerned.